String Theory 6: 27 Quartets, etc. 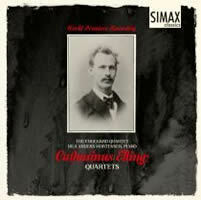 An enormous stack of string quartet releases beckons. I’ll try for concision rather than rumination in this first of several posts.